The innovative design of the fan blades improves the air flow and facilitates a highly efficient ventilation. 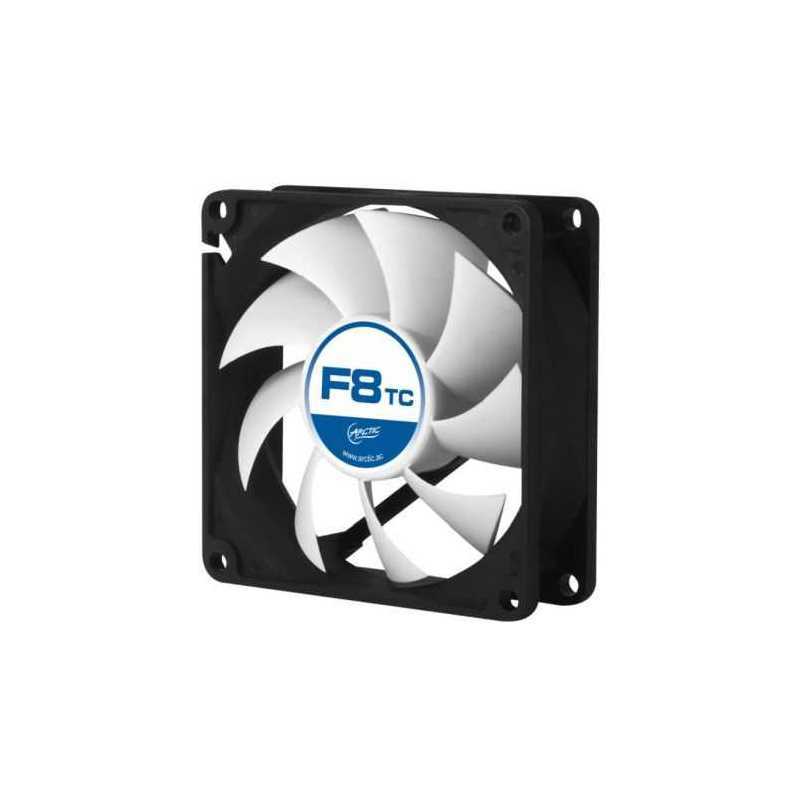 The impeller was designed with a focus on minimzing the noise level yet delivering the desired airflow and pressure. The temperature sensor is on a 40 cm cable and can be placed in the warm areas of your computer. 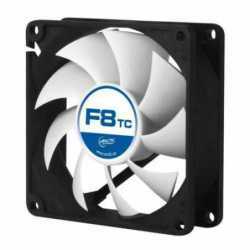 This assures temperatures no higher than 38 °C anywhere in the case and supports the cooling of your CPU or graphics card. On the other side this fan keeps the noise level absolutely minimal and only increases the speed if necessary. Rotation Speed: "up to 2,000 RPM"
Air Flow: "31 CFM / 52.7 m³/h (@ 2,000 RPM)"
Noise level: "0.3 Sone (@ 2,000 RPM)"